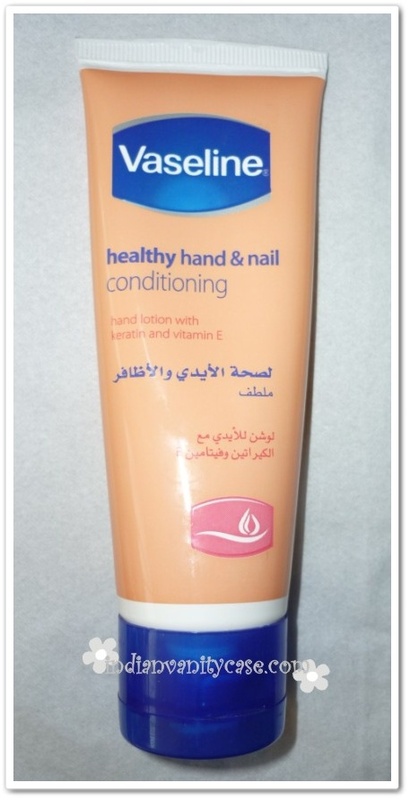 Vaseline Hand & Nail Conditioning hand lotion with Keratin and Vitamin E is a fairly nice hand cream, but not something repurchase-worthy. I'm not sure if it made my nails stronger or any different than they used to be. As for the hands, they somehow feel plumper with this on, or maybe it's just the heat. Please excuse my ambivalence. I do think it's not moisturizing enough for a hand cream. Bottom line is I wouldn't repurchase it and I wouldn't gladly recommend it to anybody, but I'll still use it up. Who knows? Maybe something miraculous will...uhm....or whatever. I was very disappointed with this packaging too. I think it was imported from Dubai or somewhere. I find it very ugly! Price ~ Rs.50 for 75ml. Isn't it cuter?! I might repurchase it if it comes in that. Did you buy the template as a pre made ? I really love your blog outlook. too bad I don't know how to do mine. so we're all suckers for packaging! @GGG~Not tried that yet. 3rd time somebody have told me about that girl hehe...I have to get a gift for a friend who sent me the layout :). i love vaseline stuff. 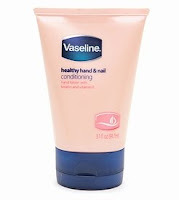 i just dont know if the vaseline company in my country carries this kind of product in our market. yeah. i like the original packaging of that. Oh my goodness, I love your new blog look Cynthia! So girly =D Hmm...I agree that the original packaging for this hand lotion looked much better. Thanks for the review! I agree with the packaging part. Yes it does make the hands feel plumper however that is coz of the heat as I have used this one in winters and its nice in the cold delhi temperature. I would recommend it to be used only in winter :)... You have a g8t blog..
hey! I have this as well in the older packaging. I found it to be okish - not bad but nothing to rave about either. 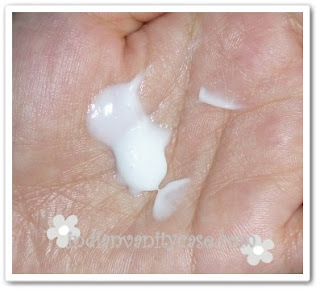 In fact it was soon replaced by Biotique's wheatgerm cream - a much thicker cream. Oh, you're so right. The original packaging is chubbier and so much cuter! Heh heh! 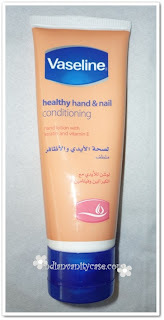 My vaseline hand a nail cream came in a pink packaging for 50rupees and it was a nice one cause c'mmon for 50rupees it was nice for those times when we all become broke for a while haha. P.S Ur blog is very nice and lovely.